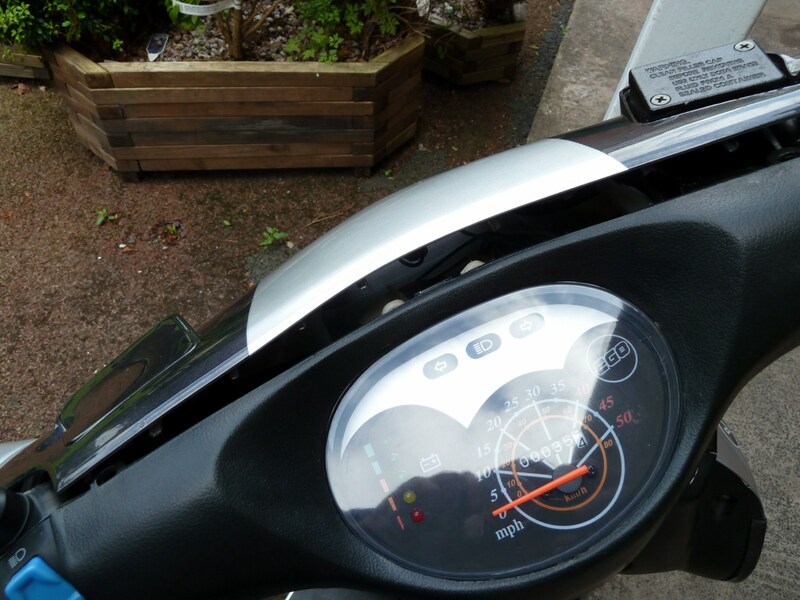 A common complaint amongst Ego Scooter users is the poor visibility of the indicator warning lights on the instrument panel – the left & right green panels at the top of the display that flash when the indicators are in use. 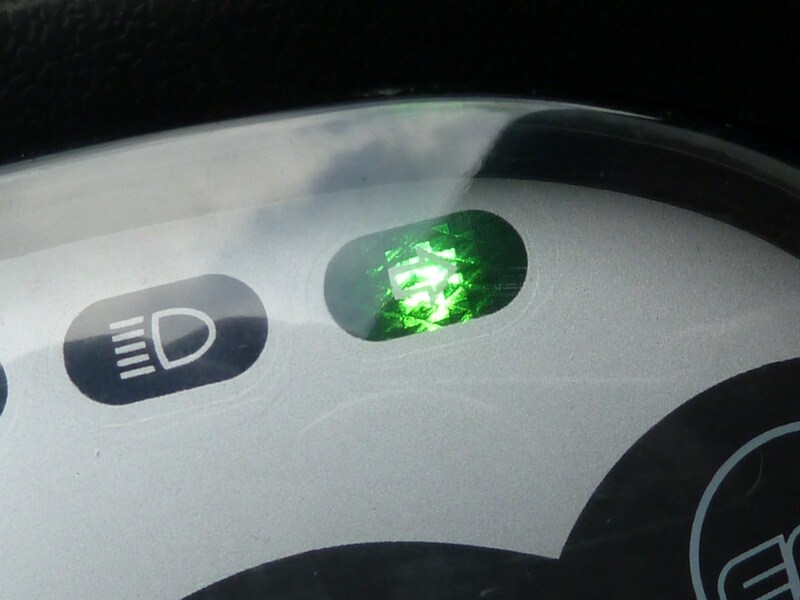 The bulb used is badly underpowered, and in daylight conditions, especially with glare on the instrument panel, it is very difficult to see them blinking. Consequently riders frequently neglect to cancel the turn signal. 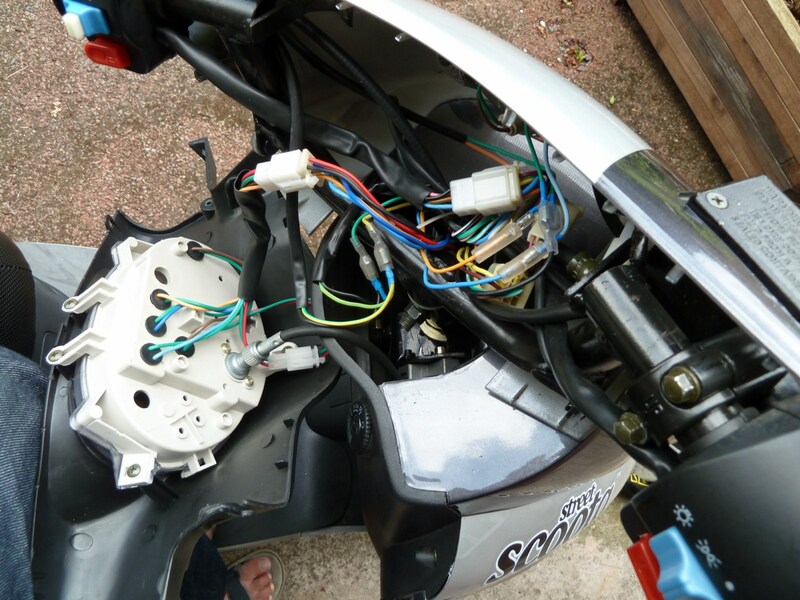 This can be rectified by replacing the bulbs with smaller, much brighter LEDS attached to a single resistor and fashioned to fit in the socket used by the original bulb. It takes about an hour to complete the job, and can be done by anyone capable of using a soldering iron. 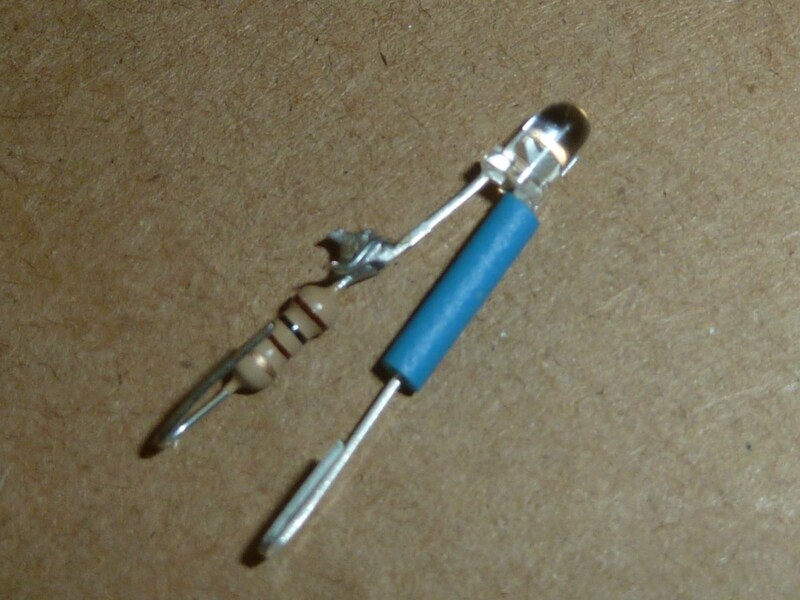 The Maplin Superbright LED needs a 100Ω resistor to give the right brightness, but if you get one from somewhere else, it is best to have a range of resistors from 48Ω – 1000Ω to experiment with until you get the desired result. The instrument panel is held in place by two screws and two flanged, hex-head bolts, one of each on either side of the instrument panel. Remove these and put them somewhere where they won’t get lost. On the back of the instrument panel, are the lights for the turn-signal warning lights, held in place by rubber gromits. These might be stiff and need prying free with a flat head screwdriver, but be careful not to tear the rubber as you work them free. 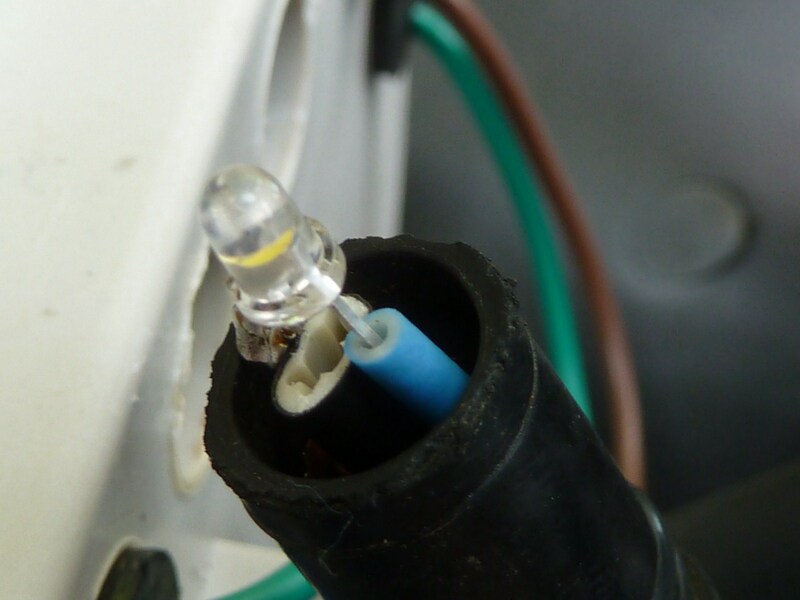 Removing the cheap and nasty bulb will reveal the connectors on either side, which we need to engage our home-made LED bulb with. They are comprised of a simple pair of clips that make contact with either terminal of the bulb. 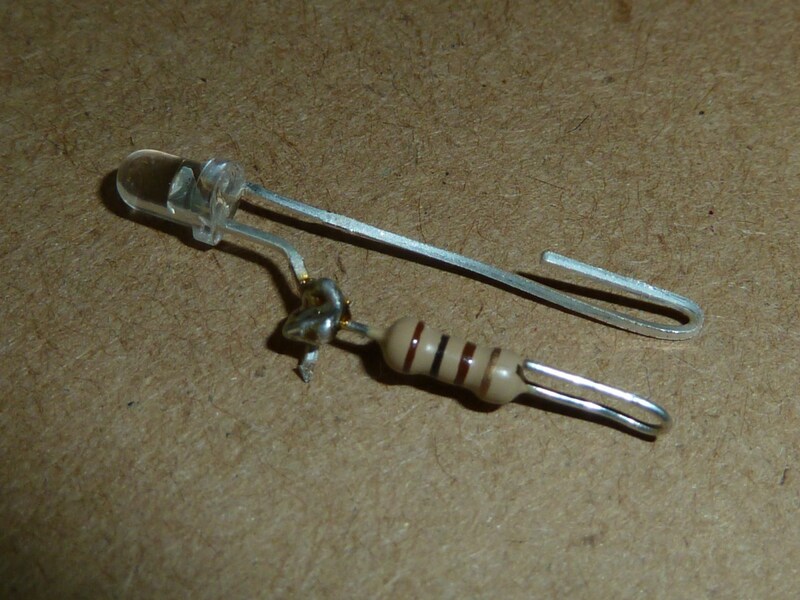 If you bought the Maplin LED listed in the parts, then a 100Ω resistor is required. Otherwise you might want to play it safe by working down from 1000Ω to identify the resistor value that offers the most suitable brightness. 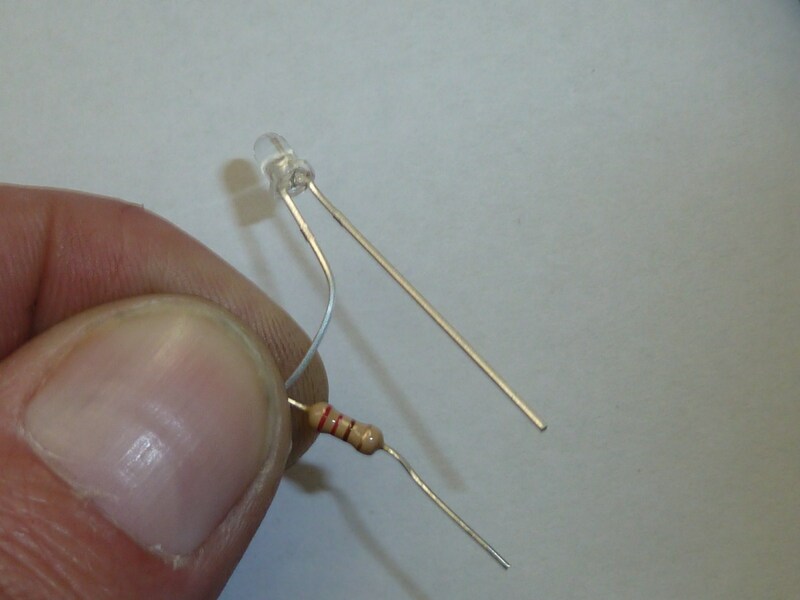 To test the resistors and LED, hold it and the LED together like this, and carefully engage the legs across the connectors while the relevant indicator light is switched on. N.B: LED’s are polarised, so they will only work one way round. It won’t damage one if it’s connected the wrong way, just reverse the contacts if it doesn’t light up first go. 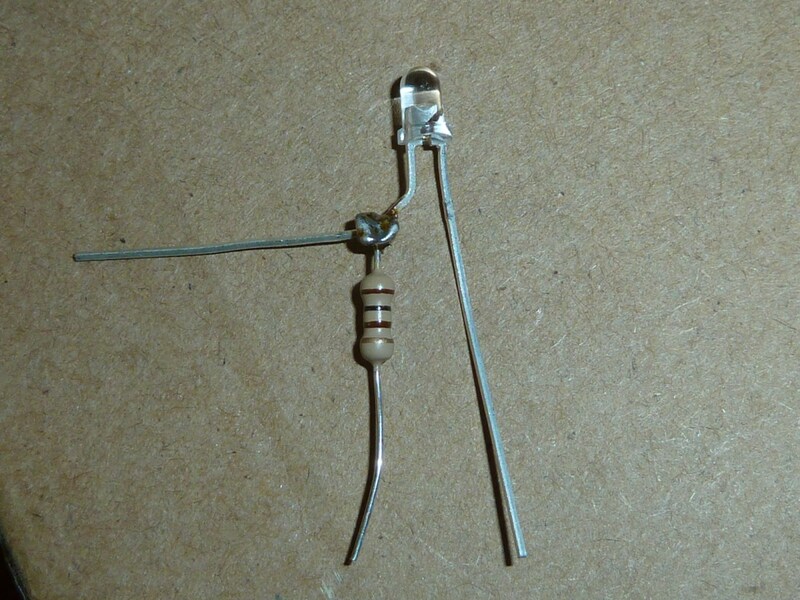 Once you’ve determined the resistor you are going to use, bend the LED leg about 6-8mm below its head, then crimp the resistor round the angle as close as you can get it to the resistor, cutting off about 10mm of the resistor wire at one end. 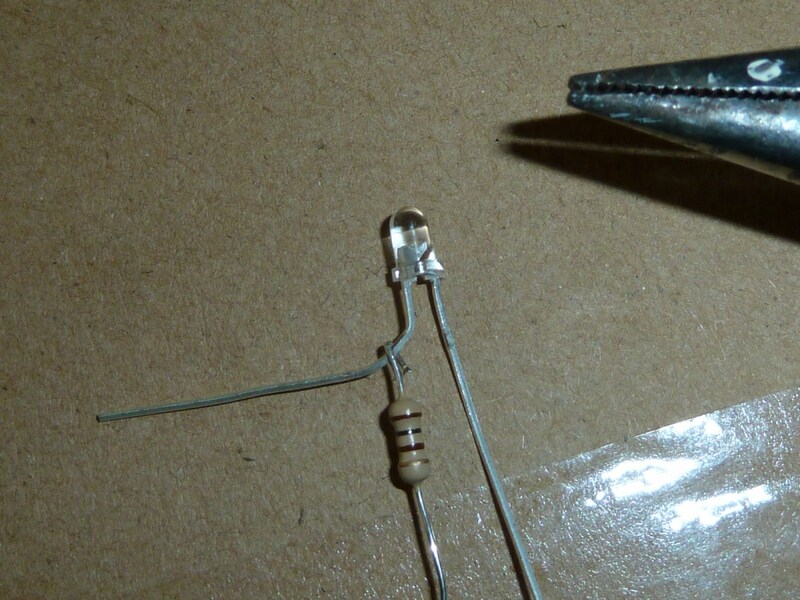 Then add a spot of solder to the joint and cut off the extraneous length of the LED leg. Next bend the legs of the assembly vertically over so that they bend back round by about 6mm or so. This is to make a rudimentary spring mechanism to engage with the existing lamp-holder. (If you’re going to slide some plastic insulation over the leg, do that before you make the bend). I’ve added some blue plastic insulation to the LED leg to avoid the possibility of the legs touching and shorting out. Naturally you’ll need two of these to replace the existing bulbs. 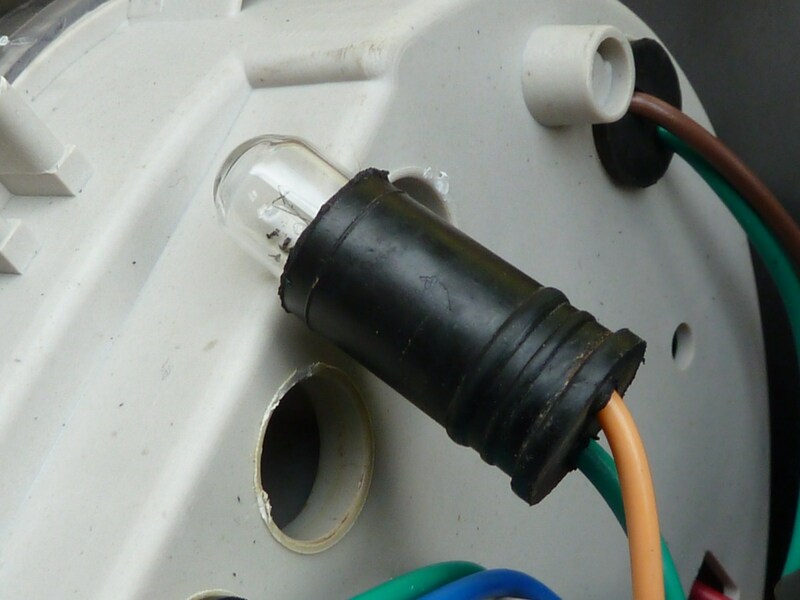 Once you’re done, find something you can use to put with it in the socket between the legs of the new bulb assembly, to brace the legs apart and against the side of the socket so that they can be wedged properly into the connectors. 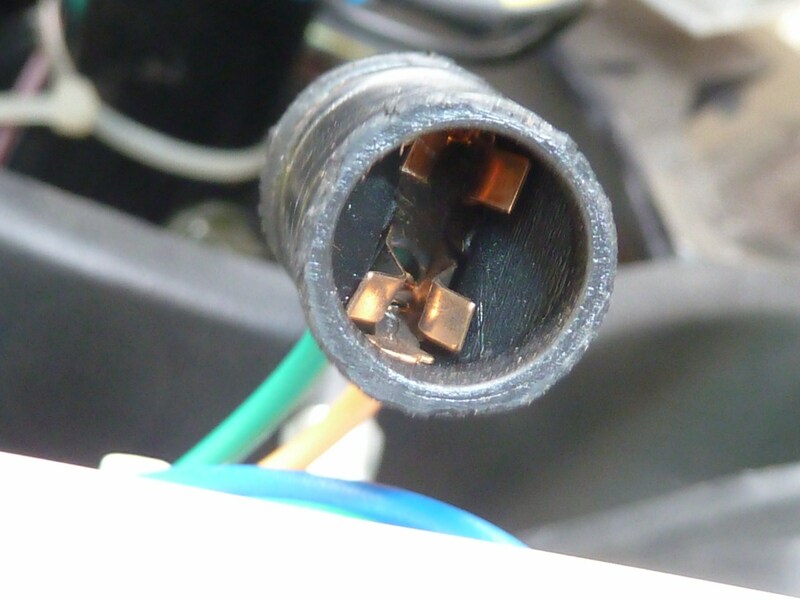 I’ve used a thicker piece of plastic insulation from some cooker wiring, cut to about 8-10mm. 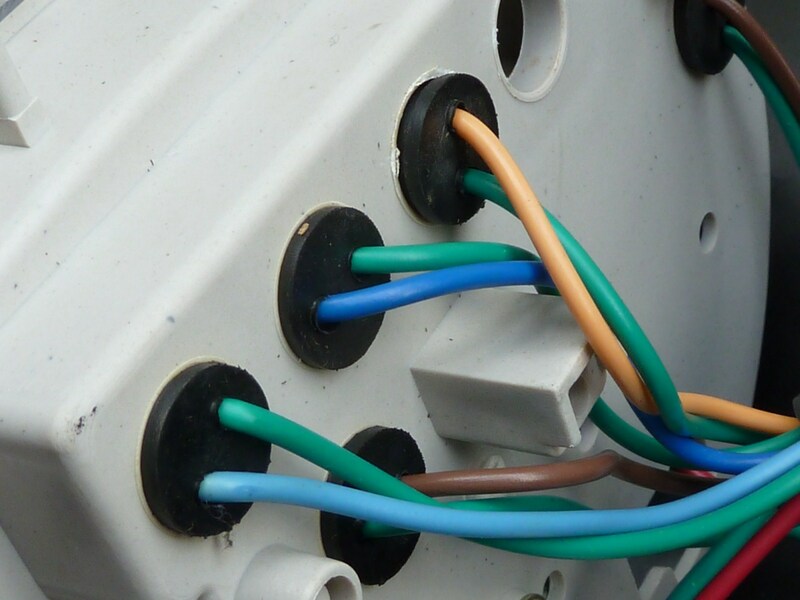 Gently slide the assembly into the lamp socket, so that the bent ends of the wires wedge into the receiving connector terminals. You might need to experiment a bit with different types and thicknesses of material before you find something suitable to brace the legs apart and make a reasonably firm connection. It doesn’t have to be that robust, because a relatively small amount of force can hold it in place. Plug the rubber socket back into the back of the instrument panel and check the indicator warning lights with it in situ. It should be way brighter now! You might need to rotate the rubber socket slightly, or take it out again and give it some adjustment if the light seems to be off centre to its display panel. A picture of the display after the fix, taken in broad daylight, with some overhead glare. 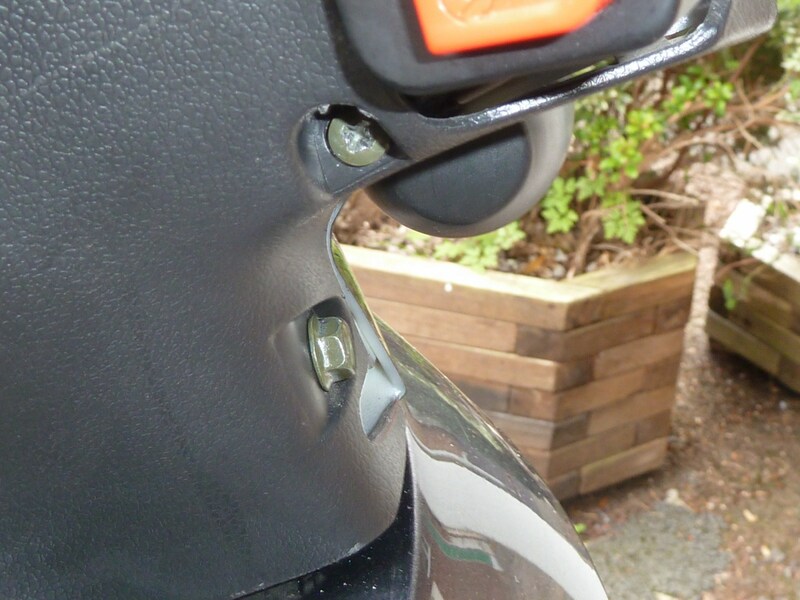 A big thanks to Ian, who pioneered this fix and described the method in the Electric Motoring Forum “LED indicator warning lights” thread. You are currently browsing the archives for the 4.5.3. LED Indicator Warning Lights Upgrade category.